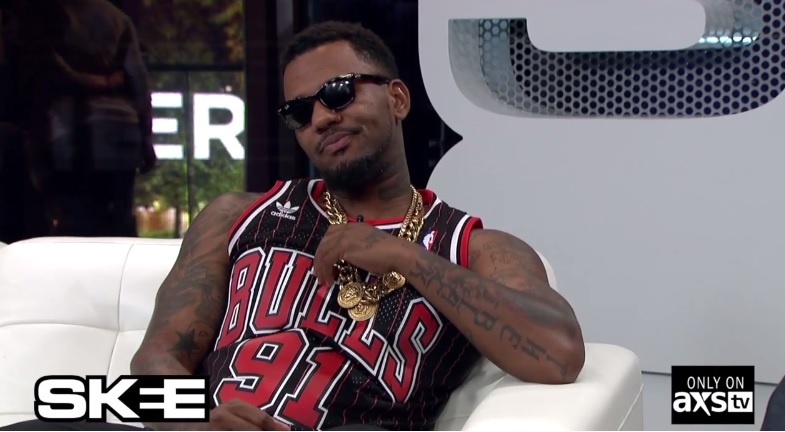 The Game discusses with DJ Skee his recent decision to walk away from his long-time music home at Interscope Records. The Compton native clarifies to viewers that after a conversation with Chris Berner of Interscope failed to produce a resolution that both parties could agree to, he knew it was time to move forward with his career. In fact, The Game points out that Interscope made the decision not to exercise their fifth option in their contractual agreement with the rapper because of the positive relationship they continue to maintain. The Rap superstar even cracks a joke with DJ Skee after explaining that everyone has been calling him since he announced he’s a free agent including Jesus and Buddah. This entry was posted in In The Studio, Interview, Video and tagged axs tv, Dj Skee, hip hop, interscope records, Interview, jimmy, rap, Skee Live, The Game. Bookmark the permalink.